Government says three more district hospitals have been earmarked for construction in Lusaka, in order to provide access to improved health care services. 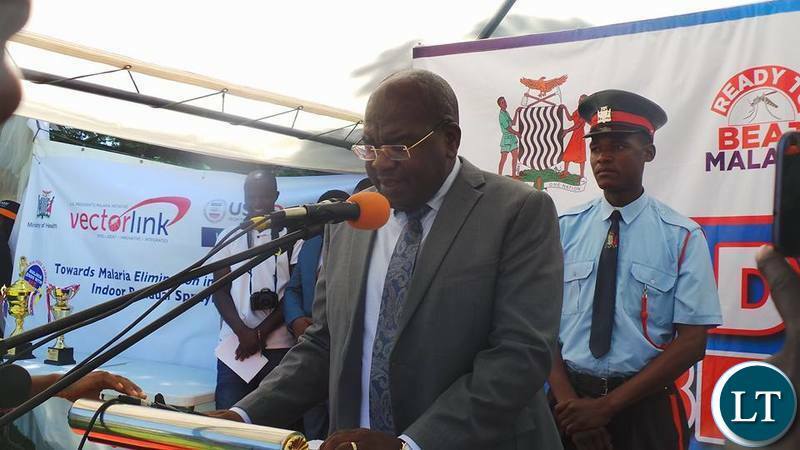 Minister of Health Chitalu Chilufya said the three district hospitals which will be located in Chawama, Kanyama and Chipata compounds are expected to be ready by 2020. The construction of the three hospitals will bring the number to five district hospitals in Lusaka district, following the earlier construction and commissioning of Chilenje and Matero first level hospitals. Dr Chilufya was speaking at a function at the residence of Japanese Ambassador Hidenobu Sobashima, to celebrate the birthday of Japanese Emperor Akishino. The Japanese Emperor turns 85 years on December 23rd this year, and will abdicate the throne on April 30, 2019. His Imperial Highness Crown Prince Naruhito is expected to accede the imperial throne on May 1, 2019. Meanwhile, Dr Chilufya said Zambia values the long standing relation it shares with Japan since the establishment of diplomatic ties in 1964, which are premised on the promotion of democracy, good governance and economic development. The Minister further praised the Japanese government for the continued support to strengthen health systems in the country. Dr Chilufya noted that a similar health project will soon be rolled out to the Copperbelt Province where two district hospitals are expected to be constructed in Kitwe. And speaking earlier, Japanese Ambassador to Zambia Hidenobu Sobashima said Japan will continue to support Zambia’s agenda to become a middle income nation by 2030. He said Japan has to-date given Zambia over 2 billion United States dollars for infrastructure and human resource development. He also noted that over 4,000 Zambians continue to receive training under the Japanese International Cooperation Agency (JICA) and over 1, 500 Japanese volunteers are in the country offering various technical assistance under JICA. The Japanese envoy said he will strive to ensure that Zambia and Japan deepen their trade and bilateral relations to benefit both countries from their long standing friendly and cooperative relations. Ambassador Sobashima also commended Zambia for maintaining peace and stability since independence and for its role played in promoting peace and security in the region. The Japanese envoy further praised Zambia for opening its borders and offering over 73,000 refugees a safe heaven and integrating over 23,000 Angolan and Rwandese immigrants. President Edgar Lungu is later this month expected to undertake a state visit to Japan at the invitation of that country’s authority. As good as the idea is, Zambia is bigger than Lusaka! Why can’t we build some of these facilities in other parts of the country??? You are so right. Only the other day, there was a sad story on ZNBC TV of the dilapidated hospital rooms and dysfunctional magnetic resonance systems at Kitwe Teaching Hospital. It’s the same story in many parts of the country. And yet day in and day out, it is this and that in Lusaka! This is becoming so monotonous! Is Lusaka all there is in Zambia? What a country? UTH and Levy Mwanawasa hospitals are still congested. People after completing secondary schools education are still trooping to Lusaka for tertially education hence putting a strain on medical facilities. It’s sad reading when a country continues to ignore its failures. Over the years we’ve seen medical assistants become clinicians, reference centres become hospitals, while district hospitals are called teaching hospitals. When do we realise that quality trumps quantity in healthcare? Why not focus on improving the infrastructure current;y there around the country and provide adequate facilities and staff? It’ll make sense if you ask the Japanese to help set up medical schools in each province so that we can proper teaching hospitals and medical schools. Look at the middle east and learn, please! They took control of their resources and then made the money count! How many hospitals would have been built and fully equipped with money spent on the new presidential jet coasting $76million? Where are the priorities under pf?